We are a manufacturer and exporter of wrought iron components such as Iron Baskets, forged railheads, baskets, collars, bushes, forged centerpieces, sheet metal leaves, cast products, panels, bow bars, pergolas and ready made gates. 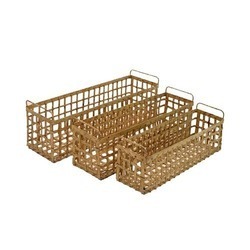 We are the leading Manufacture supplier exporter of Basket Powder Coated and offer this product as per client requirments and offer this product as per client requirments and this product Made by our expert with the Great quality . 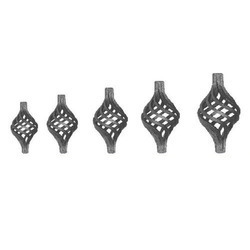 We are the leading firm of an excellent quality array of Iron Square Basket.